protect your neck, make you comfortable ! 1. Anrri Prism Glasses is great for using a laptop or reading a book in bed while lying flat. 2.This surface was so comfortable with feeling . 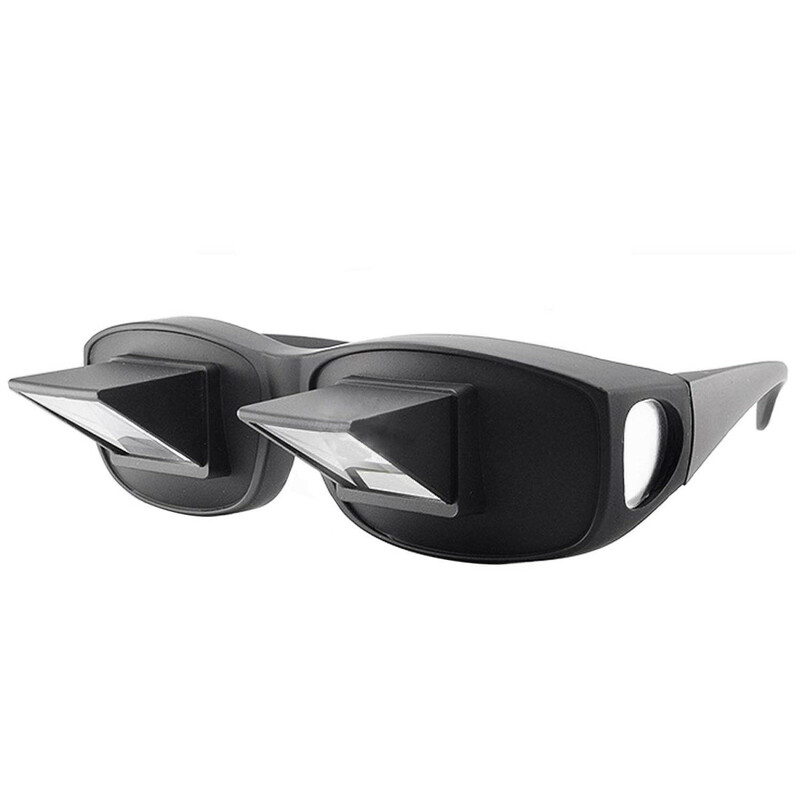 3.Changing the sight perspectives of wearer, breaking the rules of watching things, allowing users watch the images in front of them naturally, conveniently, comfortably and distinctly in a lying position. 4.Fit for men and women. 5.Amazing glasses can effectively prevent and lessen the fatigue and discomfort of the neck, the lumbar vertebra and the shoulder portion. 1.These glasses are to be used for a short periods of reading only. Please remove the glasses before falling asleep. Do not wear while walking/in motion as they can be disorientating. 2.Since the lens is prism that made of glass, the bed eyeglasses is kinda heavy. Just do not wear it too long. SATISFACTION GUARANTEED: If, for whatever reason, you are not satisfied with your Anrri prism glasses, just contact us and we will give you a full refund. No questions asked. Click "Add to Cart" NOW while supplies last. Hurry! This deal is NOT for long!